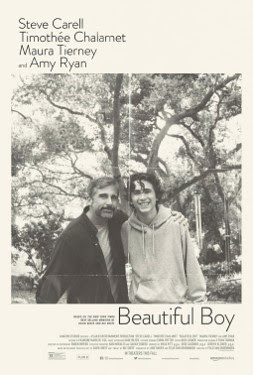 Beautiful Boy (mixed bag): Steve Carell stars as the father of a drug-addicted son, played by Timothée Chalamet, in this decent drama that doesn’t feel quite as urgent or authentic as it means to. Now playing at AMC Lincoln Square and the Angelika. Read my review from yesterday. Gosnell: The Trial of America’s Biggest Serial Killer (anti-recommended): This questionably-named film spotlights the very disturbing case of Dr. Kermit Gosnell, who performed abortions that often resulted in live births which turned into murders. 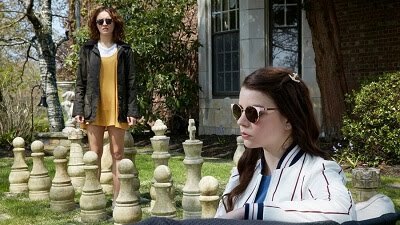 The film is poorly written and executed, and its purpose also up for debate. Now playing at AMC Kips Bay. Read my review from Thursday. Don’t Worry, He Won’t Get Far on Foot (recommended): Joaquin Phoenix is well-cast by director Gus Van Sant in this story about paraplegic cartoonist John Callahan, who lived a wild life in the company of others, with Jonah Hill and Rooney Mara in key supporting roles. It’s a fun and entertaining ride. Eighth Grade (highly recommended): This clever and unassuming comedy about a teenager whose social media presence indicates a far more self-assured personality than she actually posesses in public has won rave reviews from critics and anyone I know who’s seen it. Check it out and enjoy for yourself! 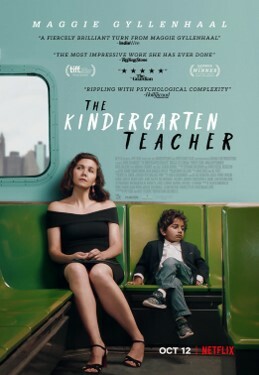 The Kindergarten Teacher (anti-recommended): Maggie Gyllenhaal stars as a teacher who gets way too attached to one of her five-year-old students who possesses an incredible talent for poetry. It’s hard to take this premise seriously, and the film suffers immensely as a result. Also playing theatrically at the IFC Center.